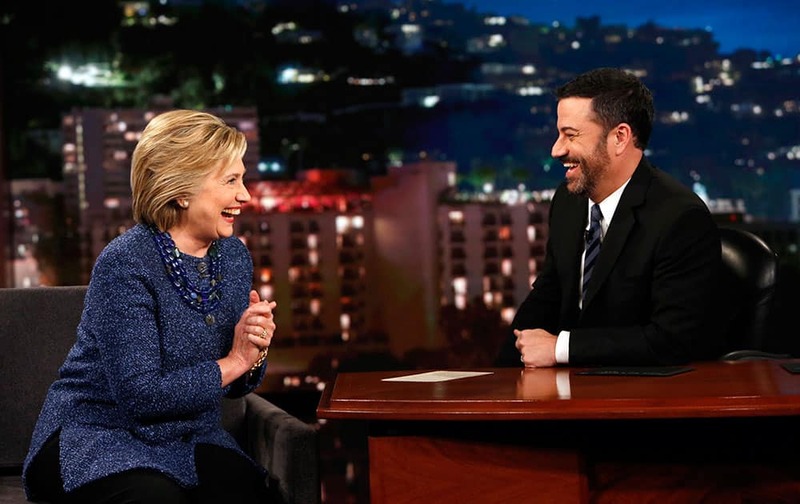 Democratic presidential candidate Hillary Rodham Clinton, laughs with host Jimmy Kimmel, during 'Jimmy Kimmel Live' in Hollywood, Calif.
BJP workers performing Havan for the partys win in Bihar assembly elections in Patna. 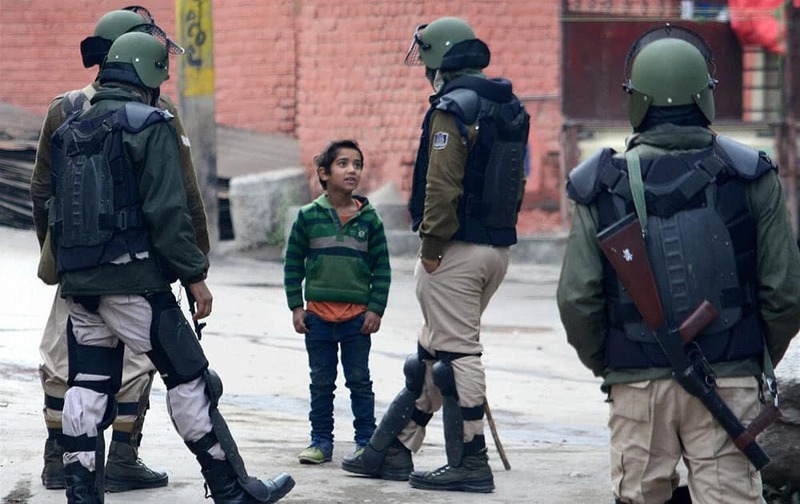 A boy seeking permission from security personnel to move forward during restrictions imposed by to maintain law and order following protest called by separatists ahead of Prime Minister Narendra Modis visit in Srinagar. 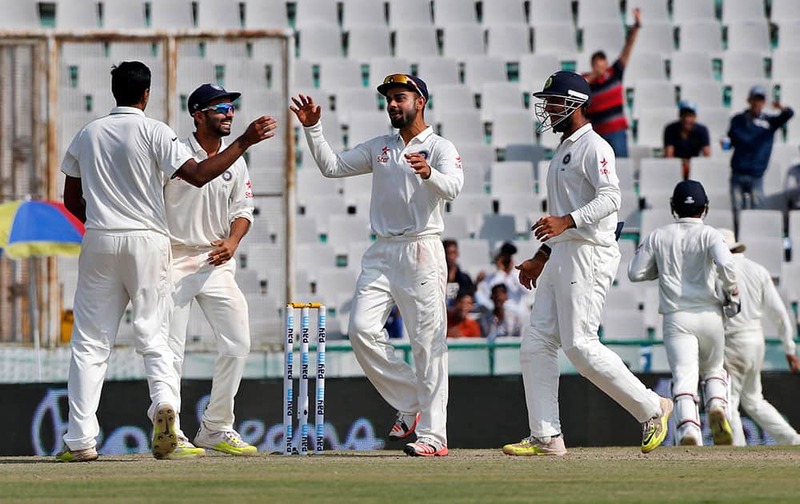 Virat Kohli, celebrates the dismissal of South Africa's Hashim Amla during the second day of their first cricket test match in Mohali. 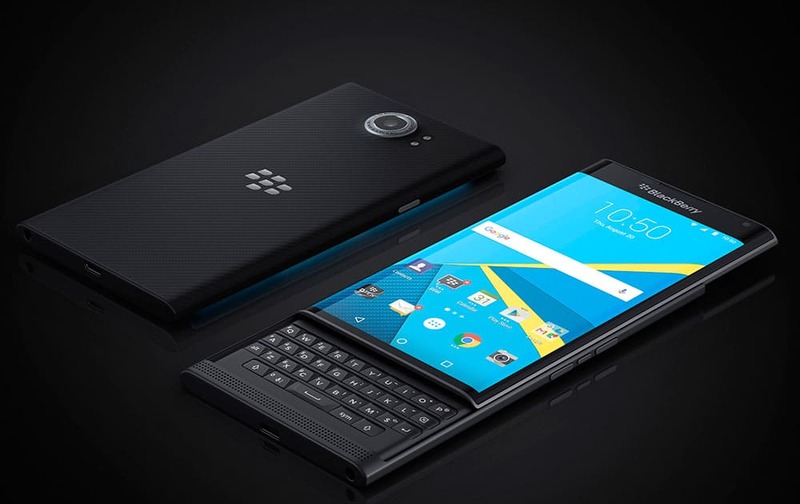 This photo courtesy of Blackberry shows the Blackberry Priv. The company isn’t giving up on BlackBerry 10, but it has released its first Android phone to lure those who want the wide array of apps available on Android, but not Blackberry. 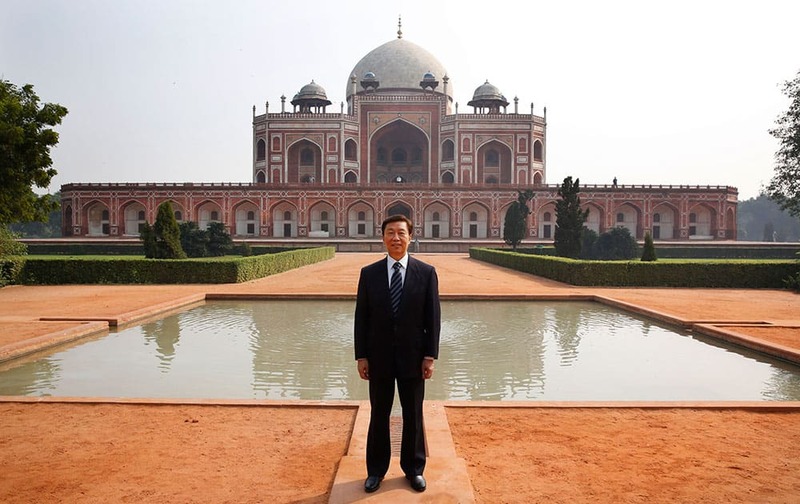 Chinese Vice President Li Yuanchao poses for photographs in front of Humayun's Tomb in New Delhi, India. Sachin Tendulkar is joined by Shane Warne during a news conference ahead of the Cricket All Stars three-game series to be played in Major League Baseball stadiums in New York, Houston and Los Angeles, in New York. 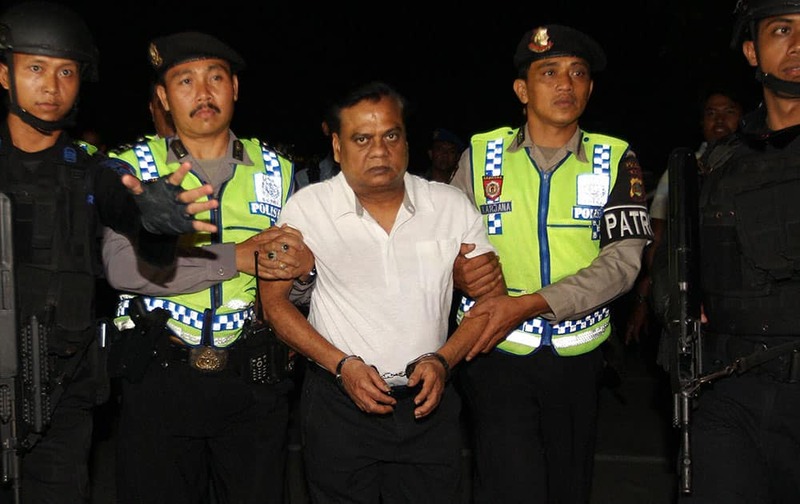 Indian fugitive Rajendra Sadashiv Nikalje, known in India as Chotta Rajan is escorted by police officers before being taken to Bali airport to be deported, Indonesia. 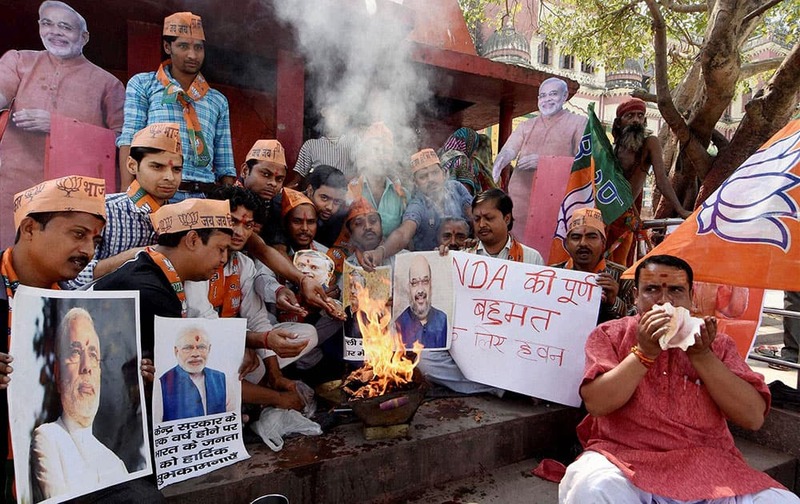 The alleged organized crime boss, wanted for alleged involvement in several mafia killings and other major crimes in his homeland, was arrested Sunday after arriving at Balis airport from Sydney based on information from Interpol and Australian authorities. 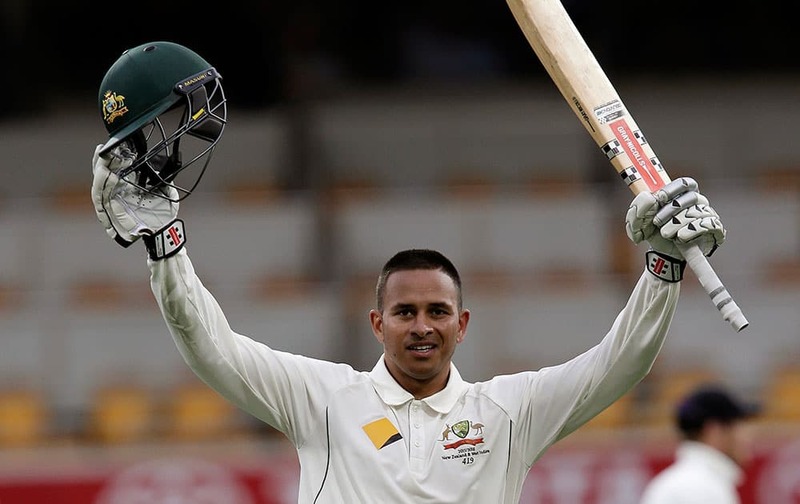 Australia's Usman Khawaja celebrates reaching 100 runs during play on day one of the first cricket test between Australia and New Zealand in Brisbane, Australia. 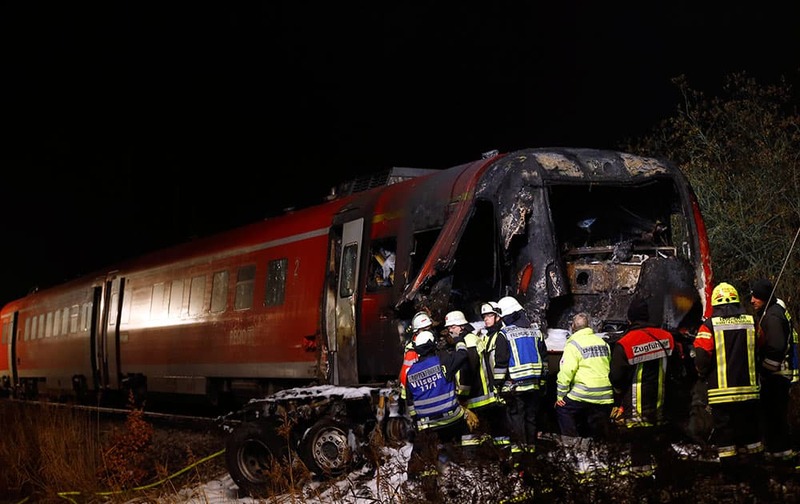 Firefighters stand at the site where a regional train collided with a truck near Freihung, east of Nuremberg, southern Germany. 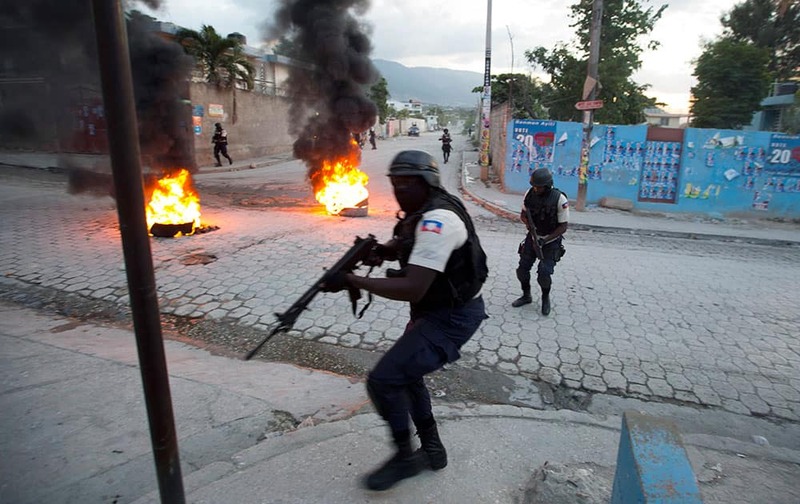 National policemen hold their guns as they secure the area of a protest by supporters of Presidential candidate Moise Jean-Charles against official results just announced by the Electoral Council in the neighborhood of Delmas 33, Port-au-Prince, Haiti. 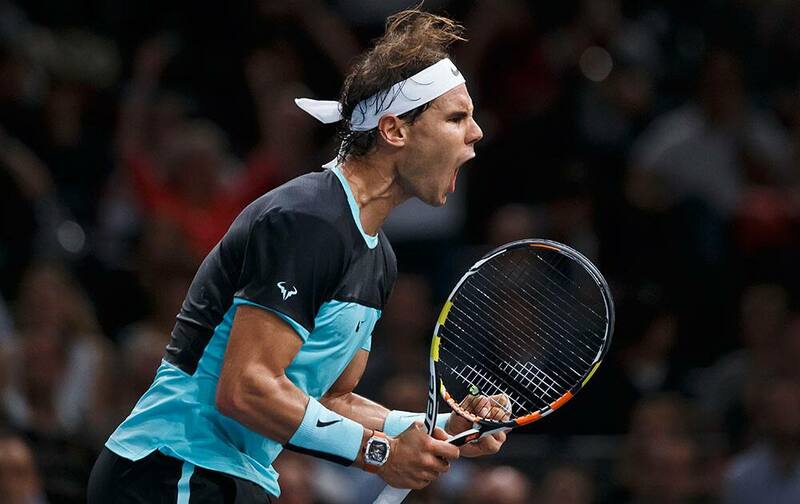 Rafael Nadal of Spain celebrates as he is wins a point against Kevin Anderson of South Africa during their third round match of the BNP Masters tennis tournament at the Paris Bercy Arena, in Paris, France. 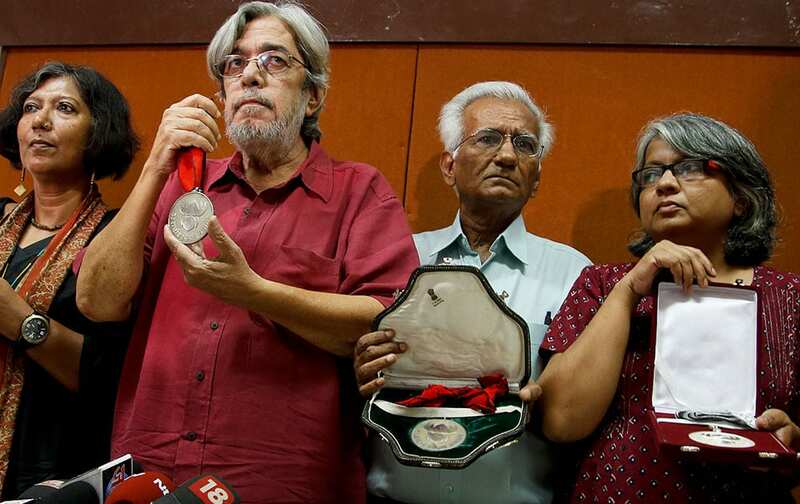 From left, Madhushree Dutta, Saeed Mirza, Kundan Shah and Irene Malik Dhar who are among Indian film industry figures returning National Film Awards pose before the media in Mumbai. 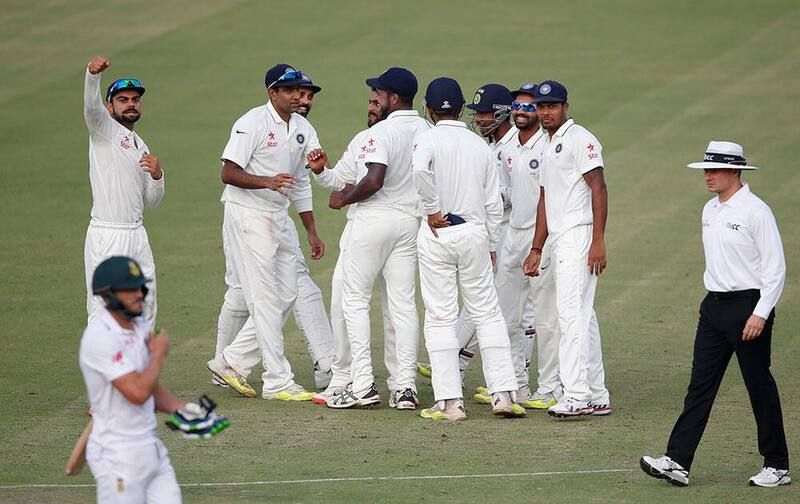 Virat Kohli and his team celebrate the wicket of South Africa's Faf du Plessis who was bowled by Ravindra Jadeja during the first day of their first cricket test match in Mohali.